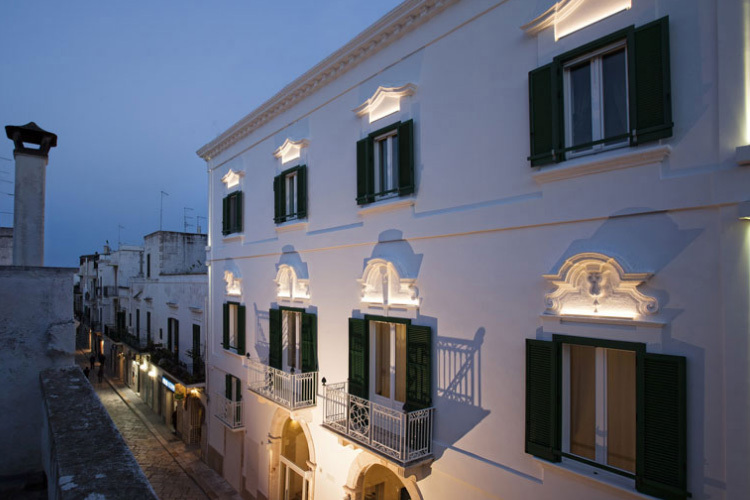 Via Roma, 26, 70044, Polignano a Mare, Bari, Apulia, ITALY. 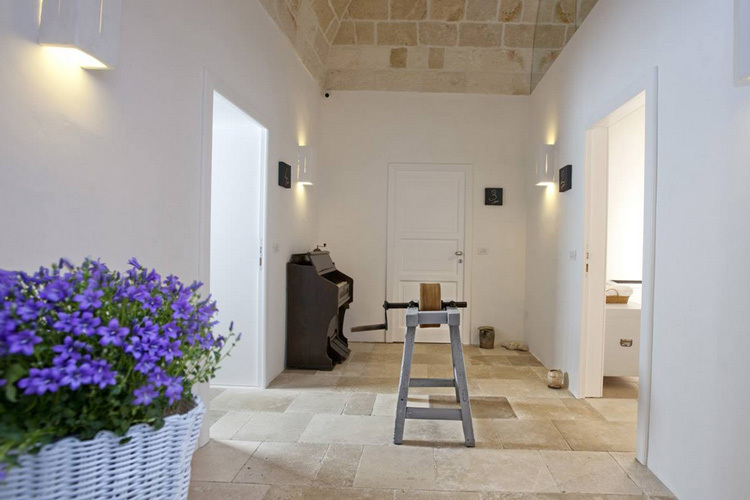 Standing on a delightful cobbled street in the heart of historic Polignano a Mare, Giovì Relais is located in a carefully restored 17th century mansion. 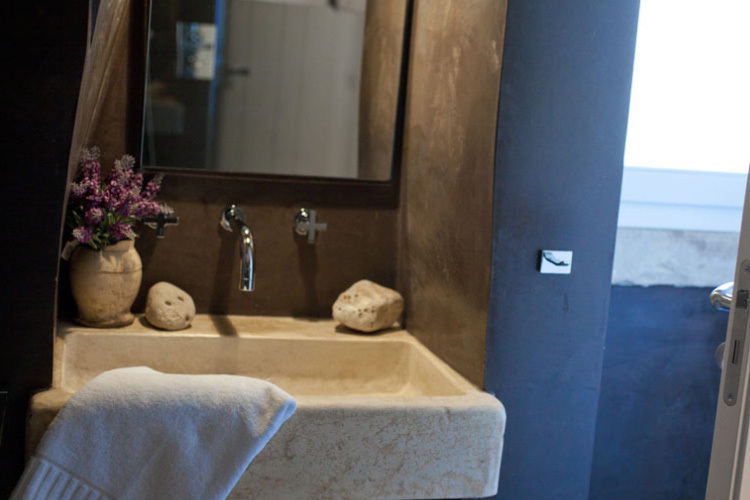 This charming bed and breakfast property offers exclusive accommodation and spa services in a magnificent setting. 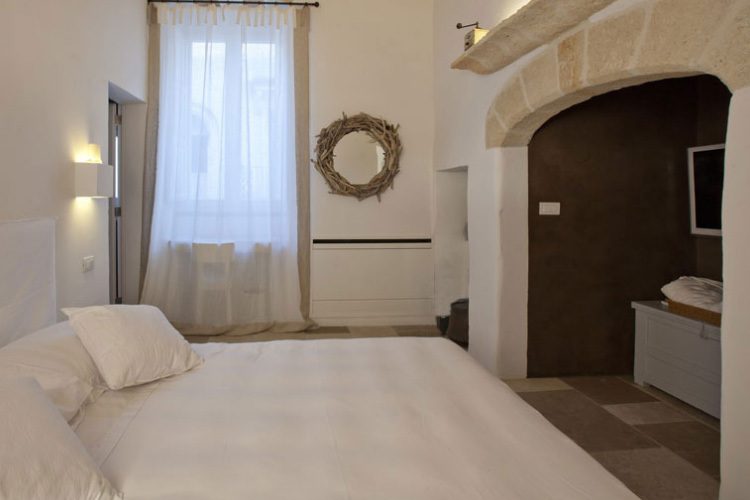 Just a five minute walk from the historic Piazza Vittorio Emanuele and the Santa Maria Assunta church, Giovì Relais is ideal for exploring this charming little town, perched on cliffs overlooking the sea. Steeped in history, the old centre, with its narrow streets, pretty balconies and stairways with votive niches is of particular interest. Other attractions include a number of spectacular coastal caves and caverns, including the Grotta Azzura and the Grotta Palazzese. 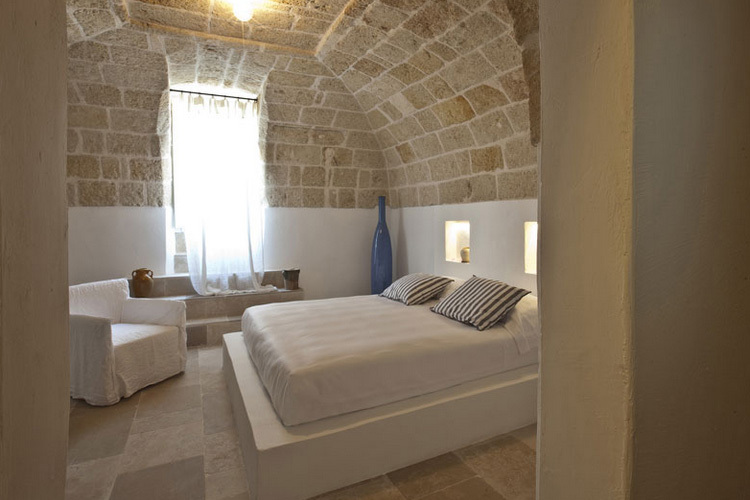 Sympathetically restored using traditional materials and construction techniques, Giovì Relais features magnificent vaulted ceilings, stone arches and traditional whitewashed walls, combined with unique furniture, both antique and modern. 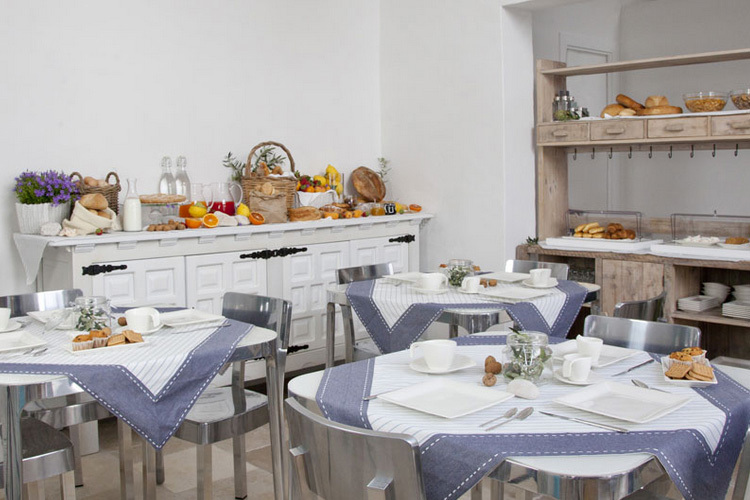 Breakfast at the Relais is served in the pretty kitchen-dining room, and includes freshly baked breads and pastries, seasonal fruit, and delicious local produce. 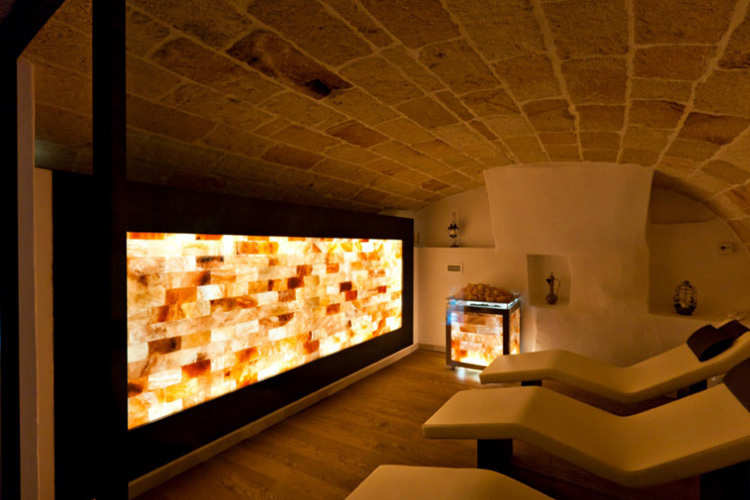 Guests can also enjoy the splendid spa and wellness area, which features a salt wall, emotion showers, a Turkish bath, and a heated whirlpool. For beach lovers, the Relais offers a shuttle service to a nearby private bathing club. No double room with two single beds. 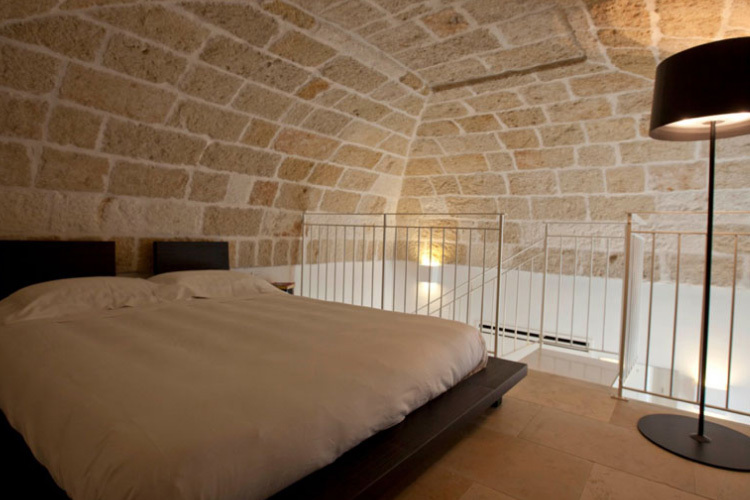 These are spacious rooms, featuring arched ceilings and unique furniture. They come with an en-suite bathroom, air-conditioning, and a flat-screen TV with satellite channels. Room size 27 sq m.
Even larger rooms with air-conditioning, a flat-screen TV with satellite channels and a spacious en-suite bathroom. 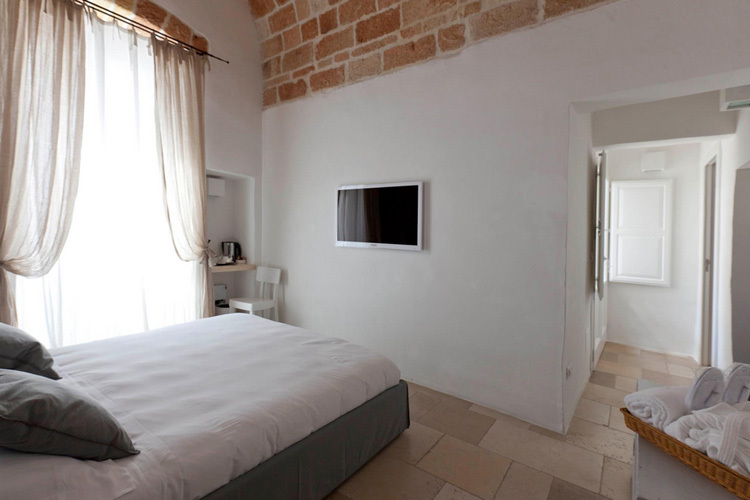 Room size 35 sq m.
With antique furnishings, vaulted ceilings and floors in local stone, these rooms come with air-conditioning, a flat-screen TV with satellite channels, a balcony and a large bathroom. 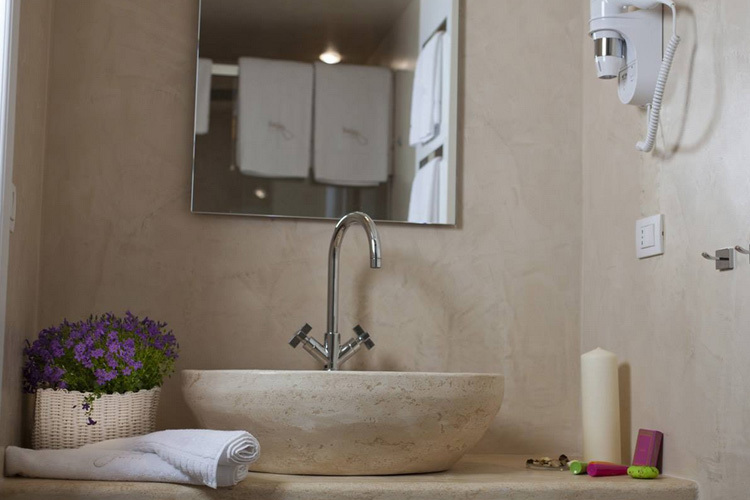 Room size 35 sq m.
All rooms feature an en-suite bathroom with shower, bathrobes, slippers and complimentary toiletries, air-conditioning, telephone, hair dryer, mini-bar, safe, 32"or 40'' LED TV with free SKY satellite channels, and free Wi-Fi Internet connection. Apple iPad available on request. Baby cots are available, but there is no possibility of extra beds. Private parking is available at a nearby location. Reservation is necessary and charges apply. Transfer service available on request. There is a charge for this service. Small pets are allowed on prior notice. Charges also apply. Official category: Bed and Breakfast. Year of establishment and/or latest refurbishment: 2011. Languages spoken: Italian, English, Spanish. Credit cards accepted: American Express, Visa, Euro/Mastercard, Maestro, JCB, CartaSi. Take the ring road towards Brindisi. Follow the coast road, State Highway (Strada statale) 16 - E55, and after about 30 km, take the exit for Polignano a Mare. 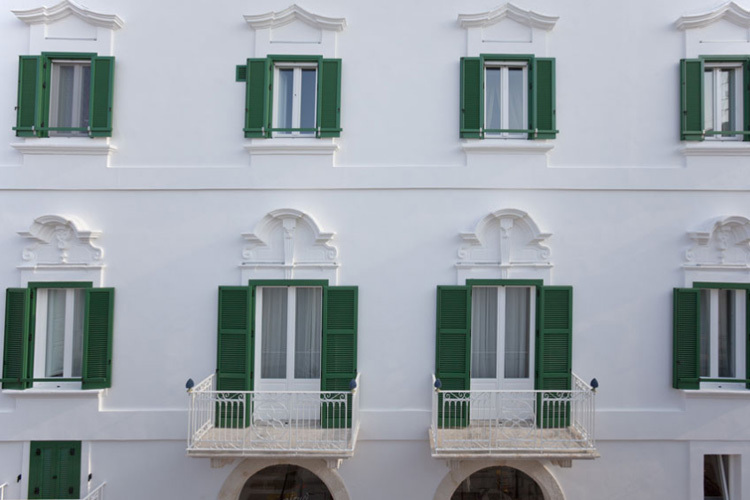 Follow the SS613 > SS379 > SS16 E55, then take the exit for Polignano a Mare. Follow the State Highway 100, exit for Mottola > Noci > Putignano > Castellana Grotte > Polignano a Mare. Nearest airport: Bari Karol Wojtyła Airport - 49,1 km.